Do you want to know if your friend is telling the truth? Do you want to test your wife to see if it cheats on you? 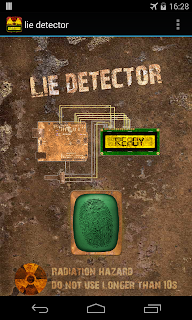 Make her take the lie detector polygraph test and see what she has to say. The lie detector test application is a great source of fun for you and your friends. The fingerprint scanner lie detector will detect any truth or lie you speak. 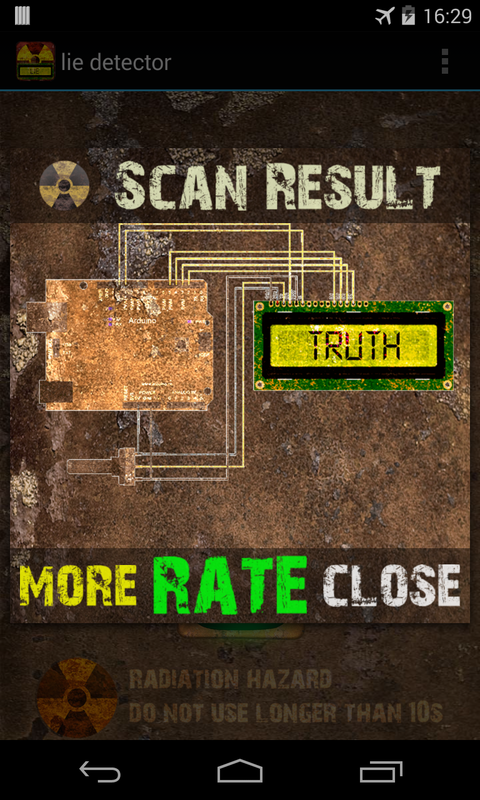 Enjoy a cool and rusty metal HD graphics that perform an advanced scanning procedure that takes just a few seconds will scan your fingerprint ridges and will test the sweat from your eccrine glands to detect any lie or truth you say. 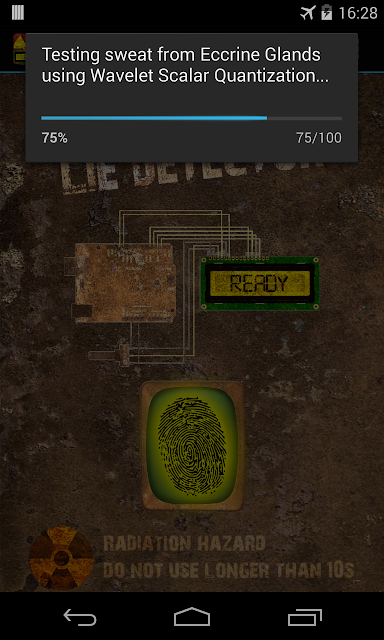 Be informed that our fingerprint scanner is only a simulator for fun purposes and entertainment. 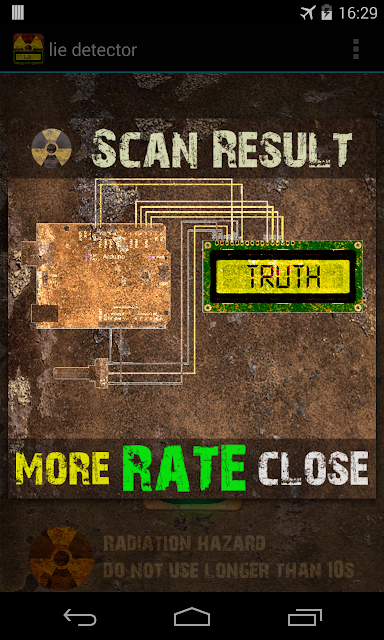 The lie detector test has the option to enable or disable vibration feedback from the options menu. 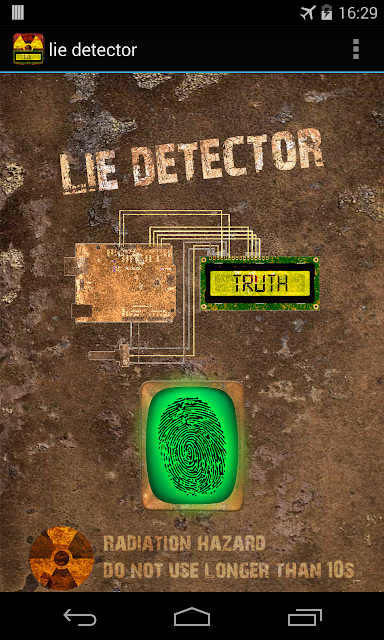 If you like the lie detector application you can use the context menu to share it to your friends via facebook, bluetooth, email, skype, twitter or any other means your phone has available. All with one touch. Get the most advanced volume booster yet. New and improved design and visual interface makes it easy for you to just slide the volume bar to the maximum. 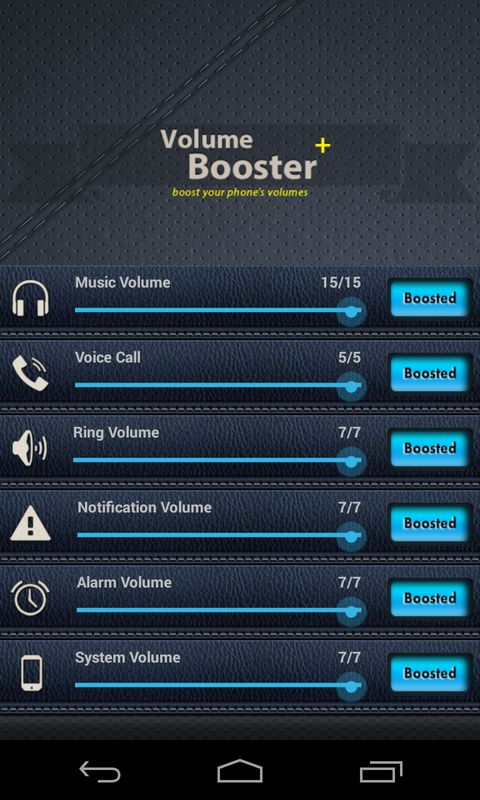 Just press the boost button and enjoy your crisp and clear music volume for your phone. 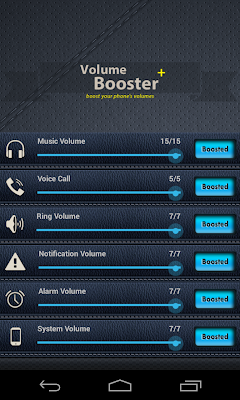 Don't waste any more time searching your phone's menus to find the volume settings, just open volume booster plus and press the boost button. You will make your phone ring louder, you will hear your call voice better, you will listen to music at maximum bass and volume. 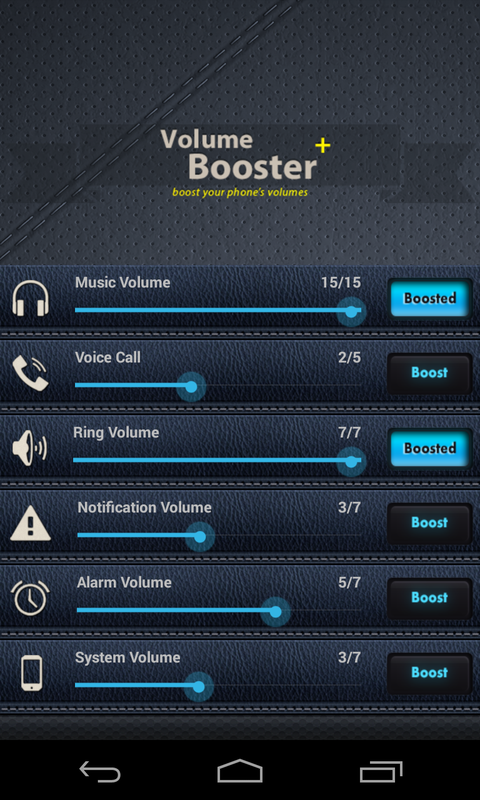 By using the volume booster plus your sound volumes will now be as loud as possible so go ahead and give your phone a new sound performance rating. We do not increase the volume over their maximum limits to ensure that no damage will occur to the speakers. 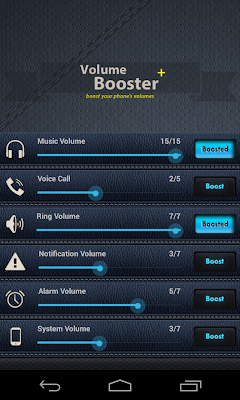 We will be happy to hear your suggestions for improving volume booster plus. All images, texts and ideas are registered trademarks. Do not copy our app ideea, our graphic elements, our description or other resources because we will file DMCA requests for copyright infringement with Google. Thank you! Hey! Nobody can use your phone without your fingerprint. Try the new amazing biometric fingerprint scanner application. Much improved over existing ones, this application gives you some cool new features to enjoy. The best biometric fingerprint scanner that actually works as a lockscreen. NOTE! Please read the "how to use" section before using ! 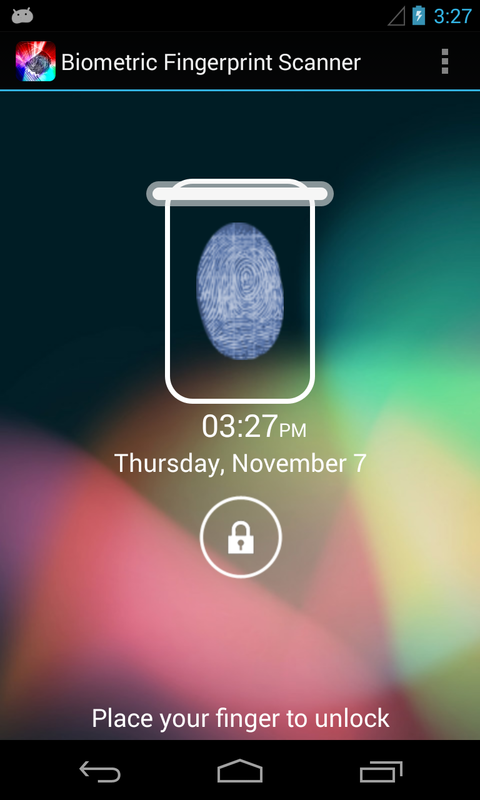 - The biometric fingerprint scanner has cool new HD quality wallpapers and backgrounds themes gallery to chose from: ice cream sandwitch, nexus 4 theme, iPhone 5 and iPhone 4S themes, windows phone 8 theme and apple mac theme background. - The biometric fingerprint scanner has the option to use it as lock screen for your phone (default is off - please use the options menu to enable it). 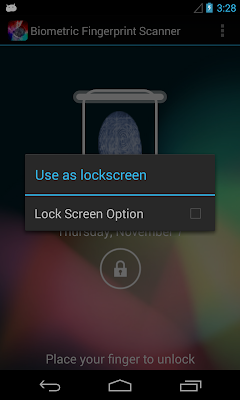 - The biometric fingerprint scanner lock screen has cool sounds and futuristic animations add more realism to the live fingerprint scanner. 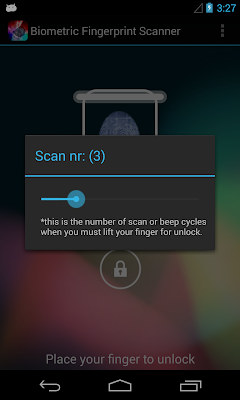 - The biometric fingerprint scanner lock screen has an option to set the number of scans before unlocking. - You have the ability to share the app to your friends via facebook, bluetooth, email, skype, etc. 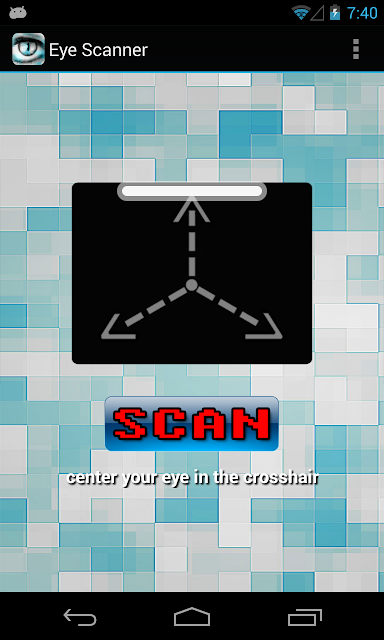 - Go to the settings menu and set the number of scans to unlock (default is 3). 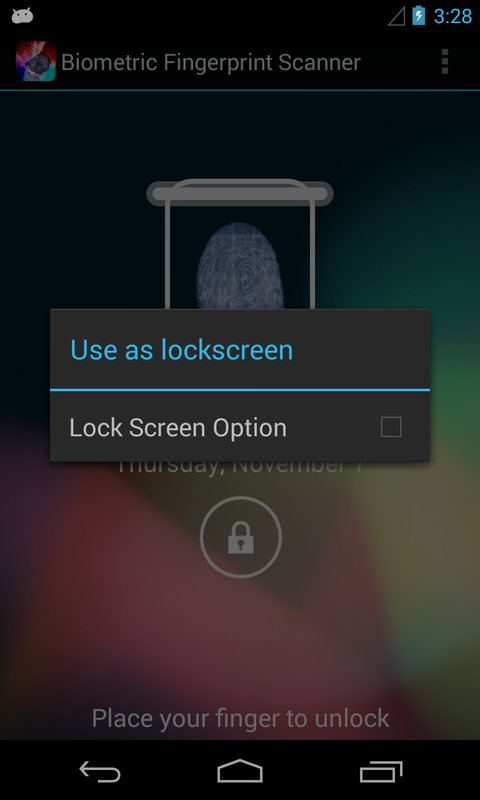 - Give your phone to an unsuspecting friend and tell him/her to unlock the phone. - He will fail. Even if he gets the correct number of scans there is a short timeframe available for unlocking. - Then since you know number of times to unlock it. Prove to him you can unlock it. NEW! 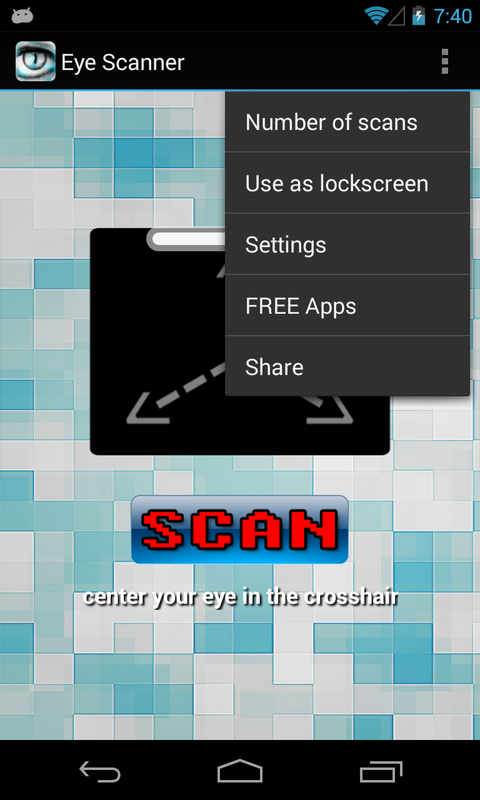 Added extra tip for users to help them unlock the screen. Watch for the time text changing color slightly gray.. this indicates that it's the right time to take your finger off the scanner to unlock the app. Do not copy our app ideea, our graphic elements, characteristics, colors, GUI placement, our description or other resources because we will file DMCA requests for copyright infringement with Google.